After his success in the radio with the sci-fi drama “The War of the Worlds”, Orson Welles won a contract with RKO pictures; giving him complete creativity on the project In 1941, he created what is considered by filmmakers as one of the best films in history, “Citizen Kane”. This film presented and developed many innovations in the world of cinema. From technical contributions, the game with lights and special effects. But we must emphasize the narrative aspect of this film. This movie has a simple story. A reporter is assigned to decipher the last words of Charles Foster Kanes; “Rosebud.” Throughout other characters, the life of the main character is narrated. The film may have a simple plot but it is the way that Orson Welles builds the story that highlights it. Welles explored different and new methods to create his story. He avoids linear and chronic narrative, using flashbacks to tell the story of Charles Foster Kane. He also uses the voice of multiple narrators to reconstruct the life of this individual; demonstrating it in the for interviews.This concept in literature is called an unreliable narrator since the author uses other characters to tell the life of Charles Foster Kane. Welles was able to understand this literary concept and put it into action on the big screen. In addition, through the editing, in an impressive way, he was able to tell the story of the deterioration of Kane’s first marriage in less than 3 minutes. Orson Welles used storytelling techniques in a creative way. The uses of flashback and how the plot has a non-linear structure; leaving the traditional narrative. They use the technique of montage to give jumps of time and space in the film. “Citizen Kane” is a film that shines in all cinematographic aspects and will continue to influence the world of cinema. Throughout his exploration in Canada, the director Robert J. Flaherty started to develop a fascination towards the Inuit tribe. Flaherty, with his crank camera, began to film the daily life of this tribe and, with just a couple of months, he had a huge amount of film. But, unfortunately, the editing room was set on fire caused by a cigarette lit. Thanks to this event, Robert J. Flaherty took action and began filming once again and, in 1922, he released what is considered the first documentary film, “Nanook of the North”. 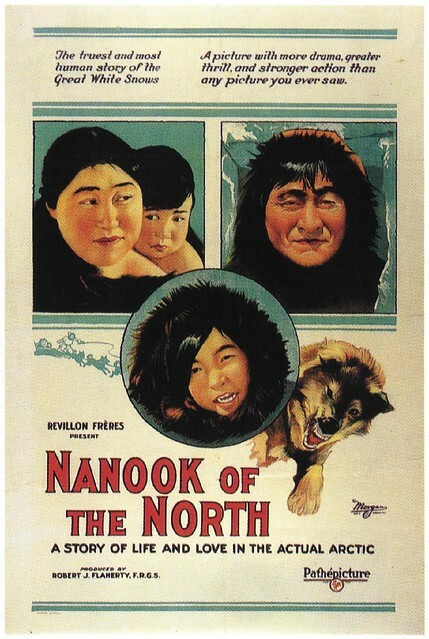 This film shows us the life of Nanook and his family in the struggle within a complicated environment to live. There is no doubt that this film was revolutionary. The production of this documentary shows us scenes from remote places; introducing a diverse and exotic culture to the audience. In addition, they play with the aesthetics of scenery surrounded by nature and balance it with the narrative of the documentary. Although this film is important for the history of cinema, at the time it received many criticisms. The director has been criticized for portraying events staged as reality. The name of the main character is not Nanook but Allakariallak. Nala was not his wife in real life, but a person chosen for the role. In the igloo scene, the director had to intervene, since he needed to build it in a way that the camera could fit and that natural light would come in to be able to record. There were also several scenes that were staged such as the seal hunt or how the main character didn’t know what a rifle was; giving the film a more primitive touch. Flaherty, by organizing images and stories, builds a narrative for this documentary film. We can see how he and his crew members integrate themselves in a completely different environment to provide a cinematic experience that had never occurred at that time. Although most of these scenes were altered and edified by the director, it does not detract from the importance of the film. This documentary manages to project a whole new world and culture to the audience. Stemmed from Dadaism and the rejection of orthodox art, Surrealism was born. This movement started in Paris in the roaring 1920’s and was founded by Andre Breton. The Surrealist prime objective was freedom from the restrictions of rationality and a bourgeois society. They also followed inspirations from the father of the psychoanalysis, Sigmund Freud. He believed that when the mind was semi-conscious or in a dream state, it’s when the mind could be liberated. That’s why most of the work is represented in a dreamlike state. From paintings to literature, Surrealism was being manifested in many ways and through time it moved his ways to film. One of the prime examples of surrealist cinema is the filmmaker Luis Buñuel. In 1929 he released his film Un Chien Andalou. Co-written by the Painter, Salvador Dali, this film captures the essence of surrealism. By dispensing linear narrative, they are freeing the viewers from normal storytelling; showing them scenes that looked dreamed like and questioning the rationality of the plot. In the film, they also showed shocking and violent imagery to disrupt reality. The perfect scene that represented jolting imagery was when the man cut an eye with a razor blade. Where in that time it must have been unsettling for the viewers. Surrealism is also the rejection of traditional institutions in society and religion. Showed in 1930’s Luis Buñuel film l’age d’Or, this film uses Christian imagery and use it as a form of mockery. By combining the theme of sexual oppression and Christianity, it was an attack on the bourgeois and the traditional rationality that the viewers had in that time. Surrealist filmmakers aimed to attack rationality through their films. They intended to derange meaning, to upset and disorient the audience by using shocking imagery. Expressing the illogicality of the narration and plot by depicting in the dreamlike scenery. This movement truly took film and revolutionize it by talk about social commentary and questioning the morality of the people. Prior to the War, Germany was in shambles and left people in a state of fear and confusion. During that time period, society needed to convey their feelings one way or another. From paintings, architecture, and sculptures; German expressionism was born. This genre broadly influenced many fields but it stands out in German Cinema. One of the prime examples of German Cinema is the 1920 film The Cabinet of Dr. Caligari. Directed by Robert Weine, this film tells the story of a small German Town and the arrival of Dr. Caligari. Here he shows up at a carnival presenting his show, the somnambulist Cesare who can predict the future. Throughout the film, it shows the characters slowly lose the rationality and how their emotions start to waver all over the place. Being a silent film they relied on makeup, costume and over exaggerated movements to convey the message to the audience. However, one of the things that stood out was on the film was the scenography. The production design of the scenography emitted the aesthetic of the German expressionism. The set consisted of extreme distortion in the design such as twisted branches, roads that lead to nowhere, uneven houses, inaccurate shapes, and angles. It is dominated with sharp forms, oblique and curved lines creating a certain mysterious and nightmarish feel in the film. The set designer played with the black and white colors to created shadows to create an environment and set the dark atmosphere of the characters. Expressionism is about experimenting with the emotions and the perception of people. This film used hand-painted backdrops, obscure architecture, and inaccurate angles to create a narrative where they disconnect the audience from reality. The style of the film reflects the uneasiness and the state of mind that the characters portrayed. Truly, this film is a prime example of German Expressionism.